Here are my impressions. As often with TV shows, I’m typing my thoughts as they come, so it’s not always very structured. It was very interesting and “weird”. Funny, how for us, 80’s kids, the 80’s still feel so close. Can you imagine it was 30 years ago? I guess it’s the same for each generation, the decade during which we were teenagers is one of the decades that’s the most powerful in terms of memories and feelings. I hated the 80’s during the 80’s. I hated the 80’s even more during the 90’s. Then, I kinda forgot about them in the 2000’s. Now, in the 2010’s I gotta admit, I kinda miss the 80’s, or at least parts of it. And apparently I’m not the only one, as this show exists. Surprisingly (or not), this show made me suddenly realize that watching kids on BMXs going on an adventure in suburbia was a thing that was missing from my life. Overall, I really liked it. It really feels and looks like these movies. The nitpicker in me couldn’t help but notice a few changes from these movies “recipes” to suit today’s audiences and standards. A few come to mind: the older siblings seem to have a larger role to play than just “mild nuisance to our heroes but who’s gonna help at some point, because siblings”, the playlist is the kind of 80’s music we’d listen today, not back then (and the kind of music that looks good in a soundtrack nowadays rather than back then too, I don’t remember hearing the Clash or New Order in an 80’s movie produced by Spielberg). And of course, the plot, the mysteries and such, are in the “style” and at the level of today’s shows, not as simple and straightforward as those pre-Twin Peaks and pre-X-Files days. The only thing that bothers me (but not really) is that the tone of the show is a little bit all over the place. One moment it’s very lighthearted with kids making silly kid jokes and the following moment, a guy gets shot in the head, followed by a romantic comedy that could turn into a horror movie at any time, and indeed some truly scary moments that I hadn’t experienced in a while (seriously there were a couple of scenes that really scared me, and I’m very rarely scared watching fiction). And special shout out to Mike, who is totally me at age 12, but I guess he’s generic enough that he’s totally many of us in our early 40’s at age 12. Oh, and I may surprise you, but right now I have no theory whatsoever about what’s happening (very unlike me, I know). Maybe because, none of the mysteries make enough sense at the moment to elaborate anything : a governmental secret experiment gone wrong and involving aliens, monsters, ghosts, genetically engineered super-beings? (that’s my only theory right now). Also maybe because I feel like just going with the flow for some reason (just like I was doing in the 80’s when watching a show?). Looking forward to watching the rest of the season as soon as possible. Yes, I’ve had Netflix for almost a year (I guess since it came out in Japan). 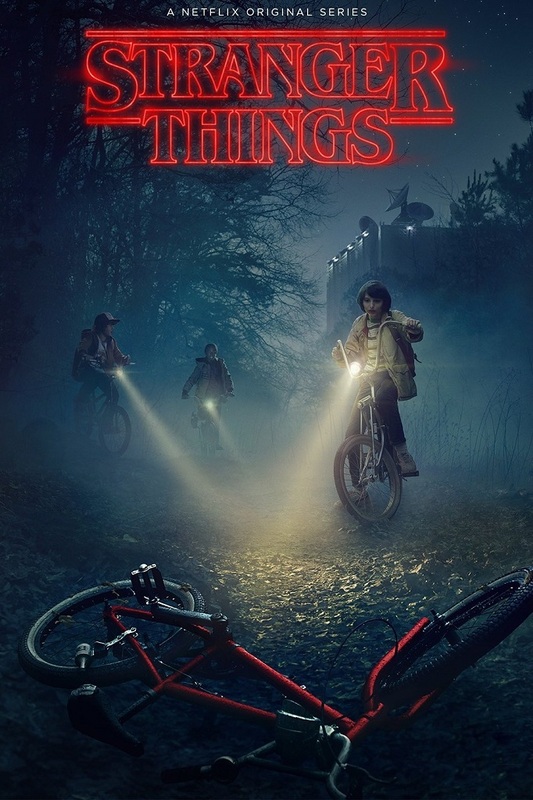 While I love it, I’ve been considering cancelling it many times, as I simply never have time to watch (in one year, I’ve watched season one of Daredevil, half of season one of Jessica Jones, one movie, and now Stranger Things), but I keep it because I really like it, and I’m trying to use it more. Not sure I know “The Get Down”. I’ll check it out. All the details will make sense in the end. There are things that made me go ‘huh’ in the first 3 episodes that made me go ‘aha!’ at the end. I’m sure they will, but even if they don’t, I’m not the kind of person that will judge an entire show on the last five minutes of the season finale. If it’s well written, and well done overall, it can be a “governmental secret experiment gone wrong and involving aliens, monsters, ghosts, genetically engineered super-beings”, a collective hallucination or an elaborate prank, I won’t care. It’s not the what that matters as much as the how.